My OUTLANDER Purgatory: MOBY IS HERE!!! OMG I can't wait! You're getting a head start though. I'm not done and you hit five chapters. ;) Sadly I think it's looking like Thursday start for me. I want to read Space first. I think I should. Thoughts? I slept from 10-1, then read from 1-4. Chapters 1-9. Sleepy at work today. Oh well. But... yada yada yada, I was looking at the "click here" detail of the family tree, and kept scrolling through and voila! You and Tracey are in the acknowledgments, Along with Karen Henry. SOOOOOOOO AWESOME!!!!!!!!!! Have you checked the acknowledgements at the end??????? I started at 8am. I took a vacation day, read, had mimosas (Carol reminded me of the wonders of early drinking with mimosas-how could I have forgotten the breakfast of champions?-read almost all day. Today, back at work. Did I have lunch with my friends? Well, Jamie and Claire and Ian.....they're my friends. First one into Barnes and Nobles - started reading in the parking lot and (shame on me) at every red light on the way home. Question: Why is Ian building cairns (for Jenny and Jamie)? I though when he and Claire left Scotland they didn't know Jenny was coming. . Remember, Claire was surprised when she saw Jenny. Also, if Jenny and Jamie were lost at sea, there would be no bodies to bury? What am I missing here? Jamie wrote Claire before leaving, that is how they knew the ship Jamie and Jenny on which they were traveling. Jamie told Claire that Jenny was coming with him. She would have told Ian. Ian was building the cairns as a place where the family could come to morn the loss, although there were no bodies. Jenny build cairns for Ian's bairns at Lallybroch and took Ian there so that he could morn and know that they would be remembered. Carol and Tracey! You are mentioned in the Acknowledgements and helped to inspire Herself in developing part of the plot in the novel. "Carol and Tracey of MyOutlanderPurgatory, for their lovely photos of the battlefield at Paoli, which drew my attention to the Rebel rallying cry “Remember Paoli!” and the discovery of Lord John’s unpopular cousin." Gabaldon, Diana (2014-06-10). 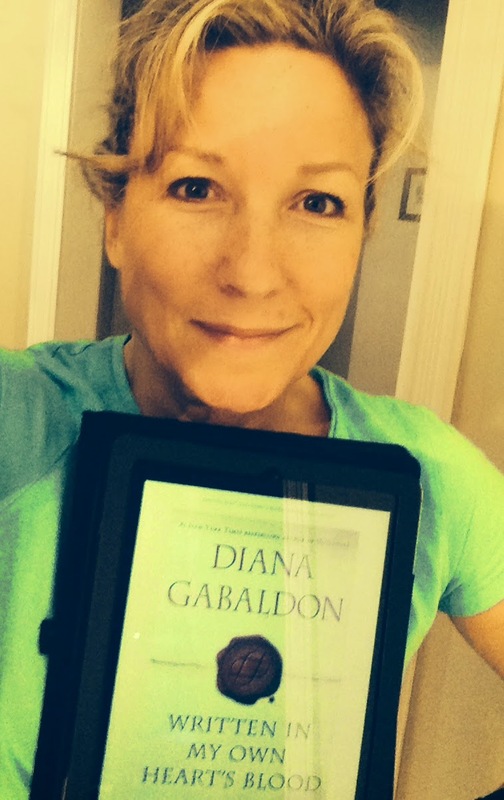 Written in My Own Heart's Blood: A Novel (Outlander) (Kindle Locations 19929-19930). Random House Publishing Group. Kindle Edition. Yes, friend Bretam and it was most wonderful; so many emotions, I read it twice. Never have I known an author that can evoke such strong emotions and I am utterly helpless in my ability to suppress them. Just want to stop by and say I have been reading this blog for the past year as I work through the BEST DAMN series ever. I am starting MOBY today... so far behind you but dang I love your posts! I dinna know what I will do with myself when I finish this book, JFW indeed.